Sponsoring self-service BI where business users are empowered to develop their own dashboards and instrumenting data governance are not conflicting objectives. 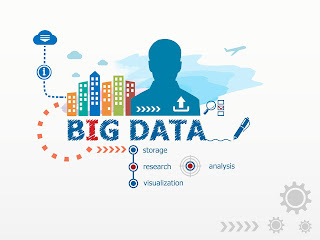 In fact, they are complementary and both are necessary to enable data driven organizations. Don't believe me? Go count the number of Excel spreadsheets or GSheets are on your network. Try to count how many duplicate data sources are in these spreadsheets. Open a sample and see if you can find errors from misapplied formulas. I share several of these data sins of the past in my book, Driving Digital. If the organization is empowered with decision making tools like Tableau, PowerBI and other analytics tools, then providing learning opportunities, training, business guidelines, standards, and policies are elements of data governance that enable success. Instrumenting data integration, data quality, data management, and master data programs are all efforts to improve quality and efficiency of asking questions, analysing data, and developing dashboards. Identifying data stewards and other subject matter experts around data sources ensures that the most knowledgeable people are driving decisions, improving data, and reviewing results. When to start a data governance program? The knee jerk response to this question by anyone involved in data programs including CIOs, CDOs, and CISOs is immediately. Data governance programs address risk, and proactive data governance programs can drive new business opportunities. So why wouldn't you start a data governance program immediately? You should, if you can, but don't make it a prerequisite to starting a self-service BI program. The problem is that most business leaders don't understand what data governance is, who are data stewards, and why the organization needs data policies. Most don't understand that data needs cleansing or why to create master data sources. Empowering business users with a self-service BI program is the mechanism to get them there. Once they experience the value of having analytics at their fingertips and see their colleagues and staff being able to ask data question and answer it by themselves, they better understand the need for data governance. They will see data quality issues. They will comprehend data wrangling. Most will sense that standards are needed to grow the program. Train users on the tools - While there's plenty of free learning programs provided by major BI software vendors, there's no reason to expect users to learn the tools themselves without assistance. 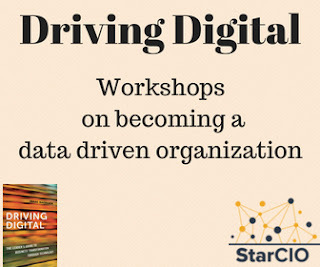 In the best of scenarios, invest in a tailored data driven workshop that uses some of your data sources to train people. Centralize access to data sources - Don't let users fend for themselves and find ways to access data sources on their own. Chance are, they will export data and create derivative data sources where it might not be necessary. Make the on ramps simple for the most important data sources. Partner on developing basic data catalogs and dictionaries - Have you ever heard the statement, "We're not even sure where all the data lives." Don't feel bad because many organizations have this issue. Most are just starting to create data dictionaries so that data end-users know how to apply dates, values, and dimensions appropriately in their analysis. If you don't have tools, use a spreadsheet or wikis to get started. Require end users to test their results - Software developers understand the need for testing, but business people used to working with spreadsheets do not. Analytics and dashboards are riskier artifacts especially if they will be used by a large number of people in decision making. Help business people understand why and how to check their work. Begin developing visualization standards - As the self-service BI program grows, chances are you'll have multiple people creating dashboards and many more people consuming them. Having multiple people develop dashboards that have different layouts, color schemes, or choice of visuals for commonly used dimensions is a recipe for a messy visual landscape. It can inhibit usage, confuse end users, and make it increasingly more difficult to maintain the data visualizations. Creating some basic visualization standards can circumvent these issues. So here is the question. Are you ready to begin both a self-service BI program AND a data governance initiative?